Established in 2008, The Muse is an entertainment company facilitating wedding & corporate audience based in KL (Kuala Lumpur). 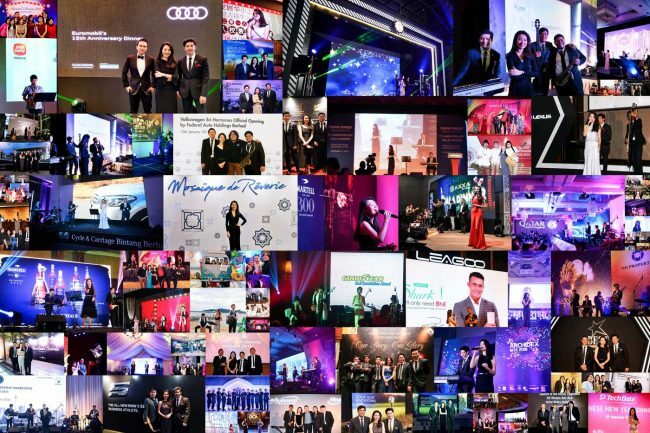 Throughout these years, Sean Ho, founder of The Muse, has put his centre of attention on providing captivating experiences to all his clients. We accommodate a variety of events with special considerations. We have strong and ultimate resources that favour our clients’ need. We interact and communicate to meet customers’ requirements as we aim to create the finest live-music dining venue for audiences. 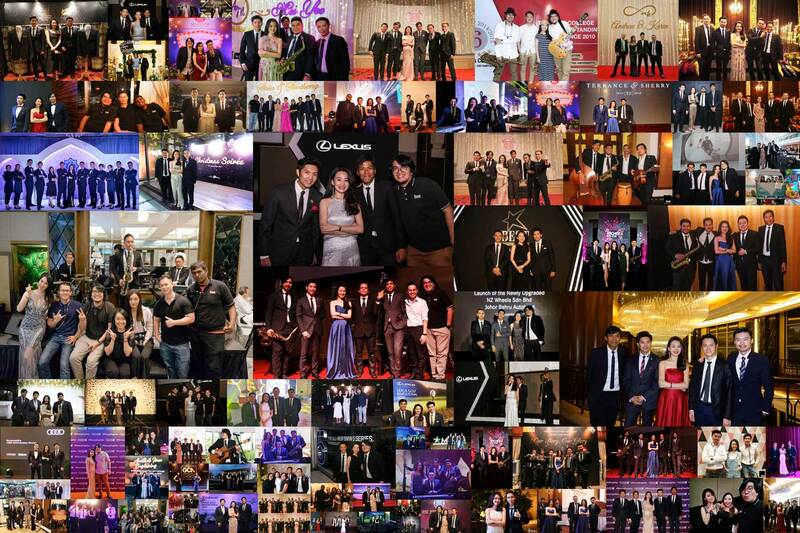 "The Muse Entertainment is a one-stop solution for every entertainment needs. We entertain your guests, bring life to your party, and make every event memorable." Are you looking for something graceful and stylish for your event? Jazz fusion is a musical genre which was developed in the late 1960s, combining jazz with rock music and rhythm. 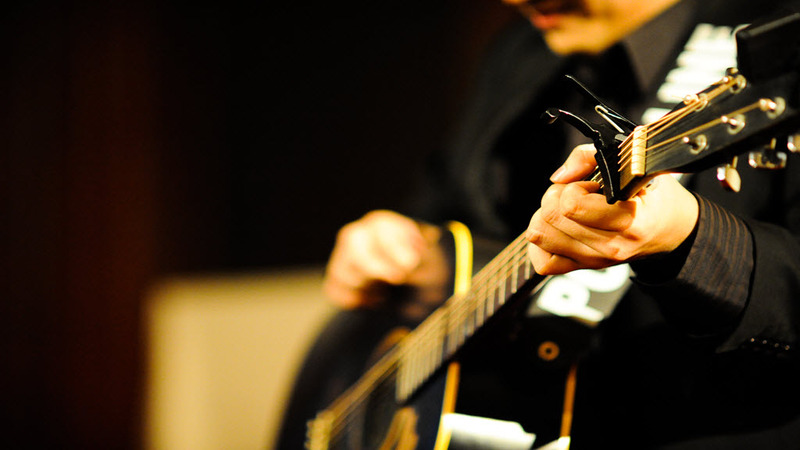 Jazz fusion requires sound and strong technical proficiency to truly bring out the soul of the music. 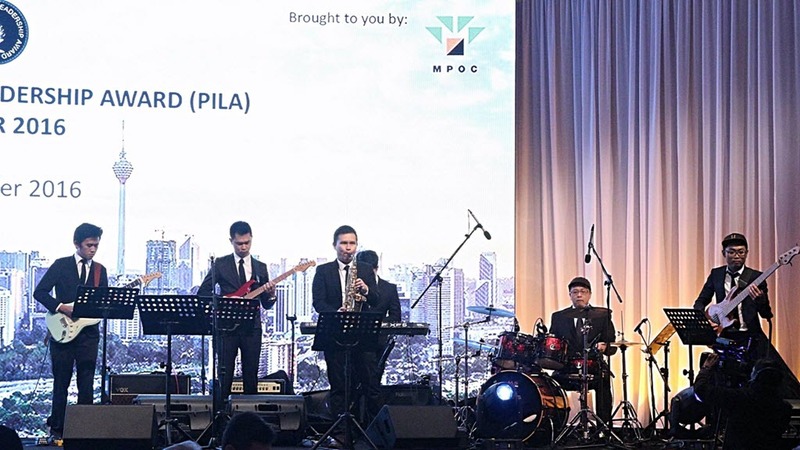 If you are looking for wedding jazz band in Malaysia, you are in the right direction as we are more than capable to serve you. Light & Easy – we perform songs that resound well with everyone, expect most to sing along to these all time favorite tunes, many will break out in dance too. Turn any occasion into a joyful, upbeat and memorable event! 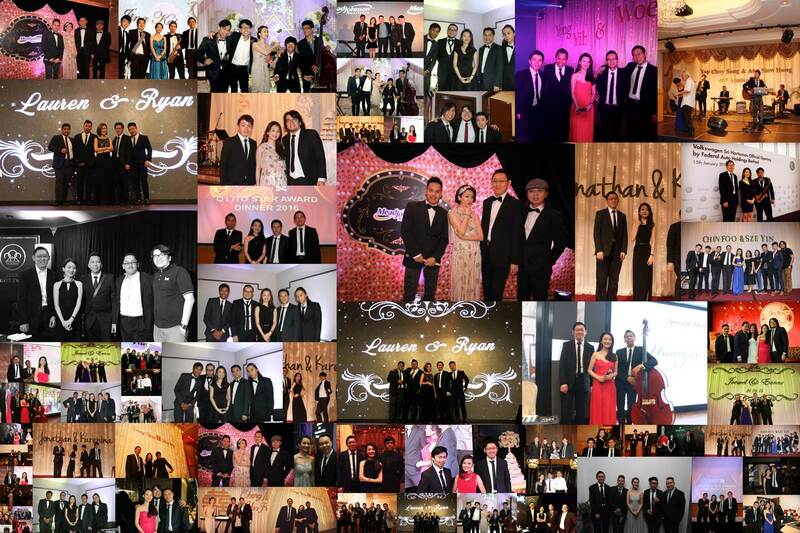 As one of the best wedding live band Malaysia, be rest assured that your wedding will be the best moment in your life. Light & Easy – we perform songs that resound well with everyone, expect most to sing along to these all-time favorite tunes, many will break out in dance too. Turn any occasion into a joyful, upbeat and memorable event! 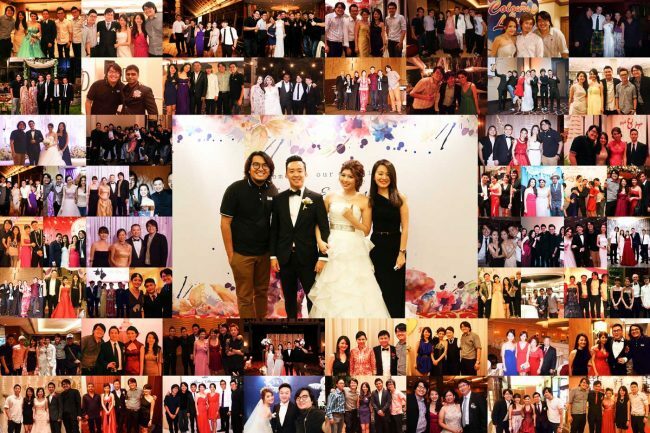 As one of the best wedding live band Malaysia, be rest assured that your wedding will be the best moment in your life. 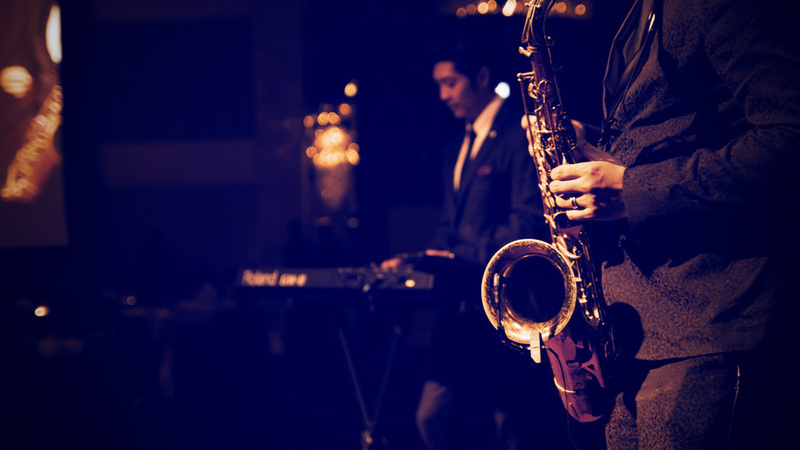 Shanghai jazz was developed in the 1920s. It is an alluring fusion which combines Chinese folk and American jazz. Golden memories live on, creating the resonance of the olden days in Shanghai. Let the rhythm and flow transport you to the old Shanghai halls, to a time of the city’s heady day. East is east, west is west, and the train shall never meet… Or so the saying goes. You will be surprised to find out that, in fact, east and west can and do meet. 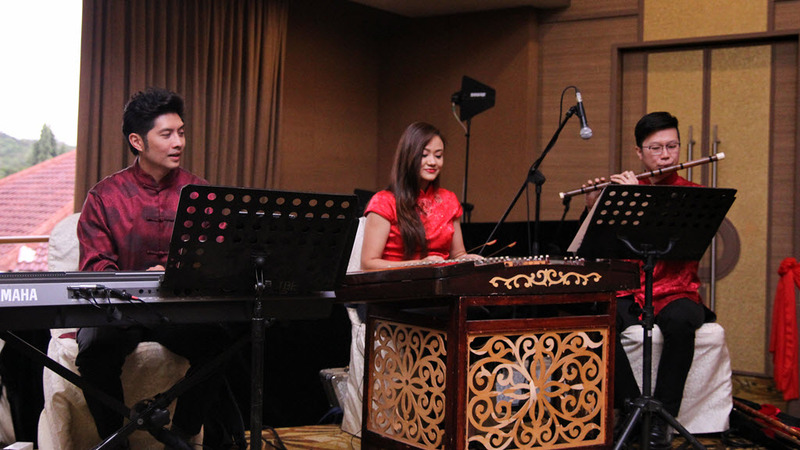 Our Oriental Fusion Music Band is a perfect example, bringing together the very best elements of traditional Asian music and classical Western symphony. 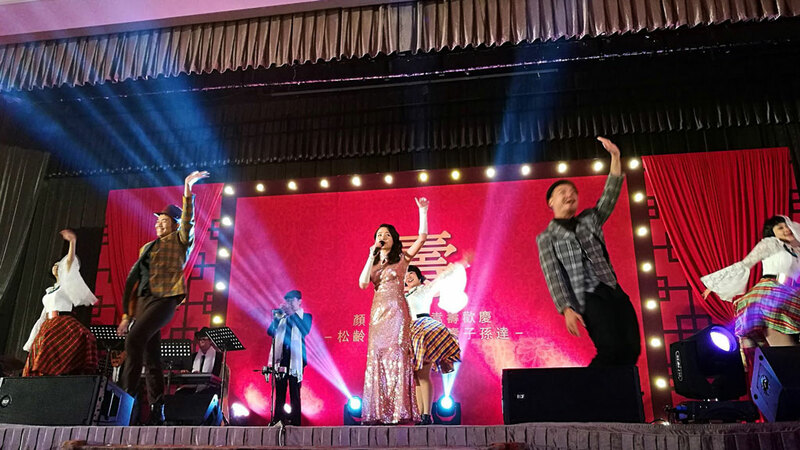 The band members combine instruments such as the keyboard and the double bass with the quixotic yang quin and gu zhen, creating a rich cultural tapestry. Wanting to add some sparkle to your event? String quartet most often consist of violins, viola, and cello. 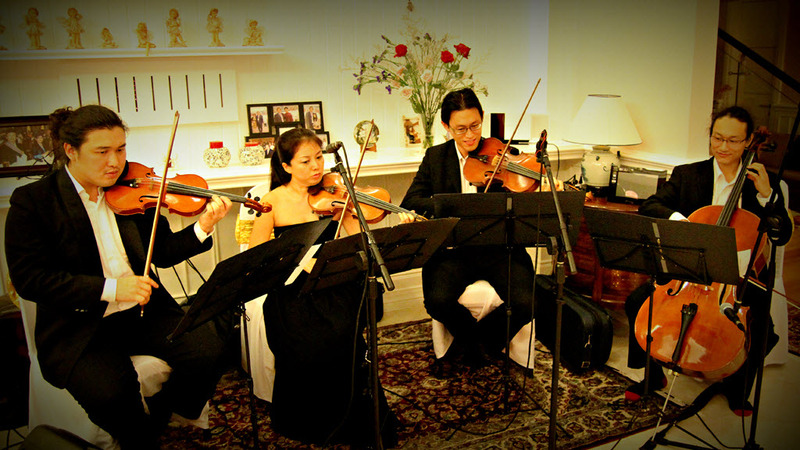 With a group of outstanding musicians, we bring fresh and stirring experiences to weddings and other events. The Muse’s quartet band skilfully play out dulcet notes, heightening the experience of the special day. Jazz could be a several headed beast, and, in line with the sensible instrumental jazz bands we’ve here at Bands for rent, several of these heads want ne’er sing one note! We’ve worn the state for the simplest players presently taking part in, and we’re delighted to possess accessible at an extremely competitive rate many fantastic instrumental jazz bands, full trained at numerous prestigious jazz academies and schools in a way to blow your guests’ minds! 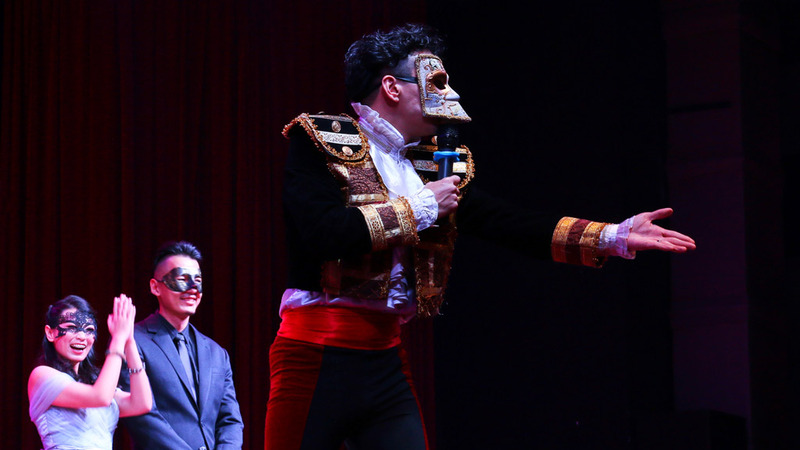 Skilful vocalists are able to keep audiences entertained. Let the melodious voice of our vocalists serenade the crowd and bring the celebration to life. 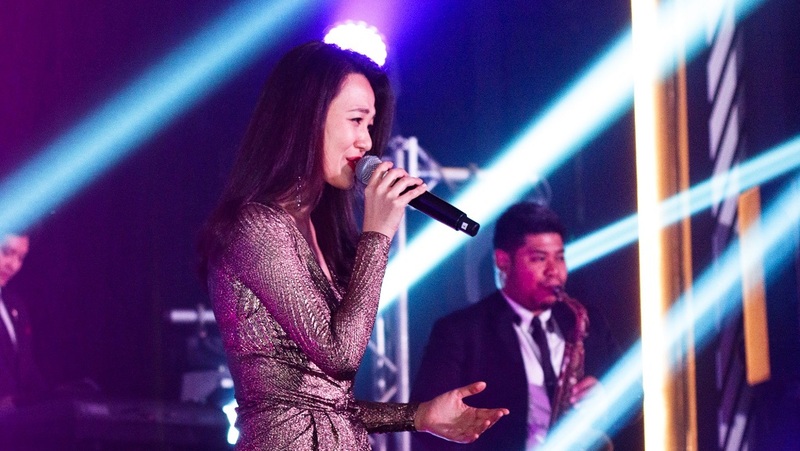 With numerous experience in performing for weddings and corporate events, our vocalists specialize in providing elegant live music. 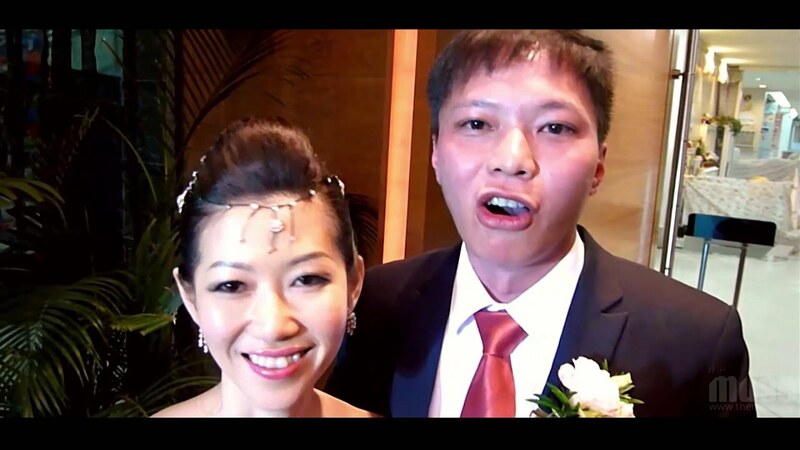 The Master of Ceremony has a unique and important role. They can elevate an event with their presentation and timing. The right words said at the right moment, a good joke to leave the audience in splits, and infectious energy that draws everyone’s attention while keeping away any sense of boredom. Our emcees are required to wear many hats, which they absolutely enjoy for a variety of events. It could be a quirky, an informal gathering, an intimate wedding reception, or a formal, polished corporate event. 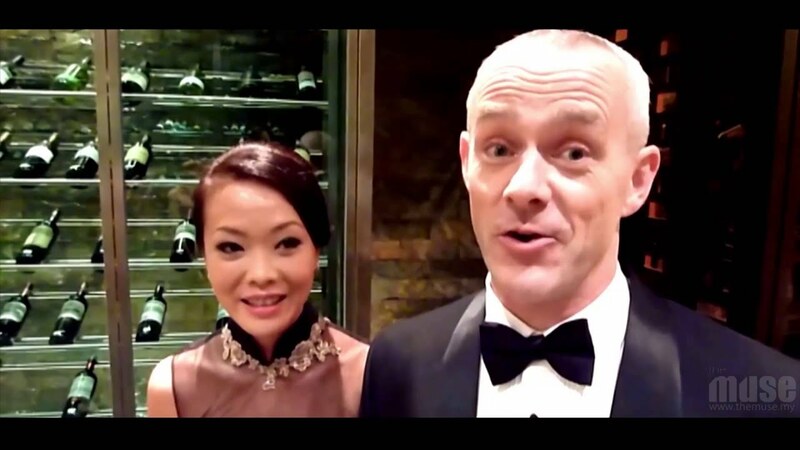 You can trust our master of ceremonies in making your event a memorable one. Despite how small or huge your event is, we have the talent and knowledge to assist you. 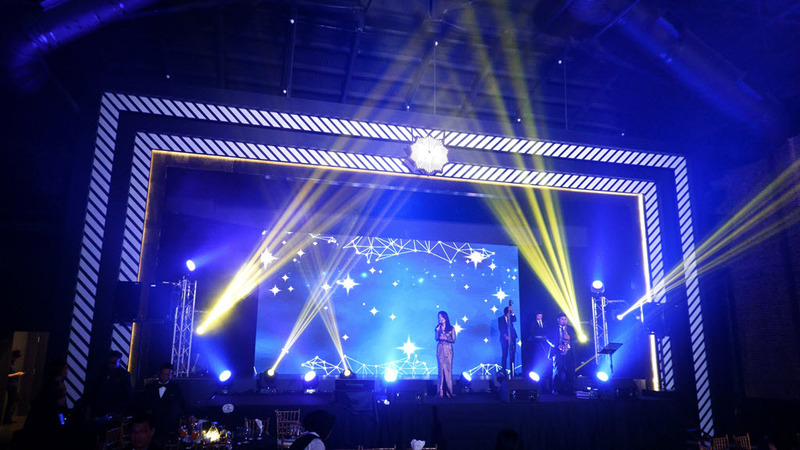 More than just adding sparkle and pop to an occasion, a reliable technical system is important to build a memorable event. We take care of every detail, so you can enjoy every moment of your event. THE MUSE ENTERTAINMENT SDN. BHD. You can join with our social media.